2019 Calendar. 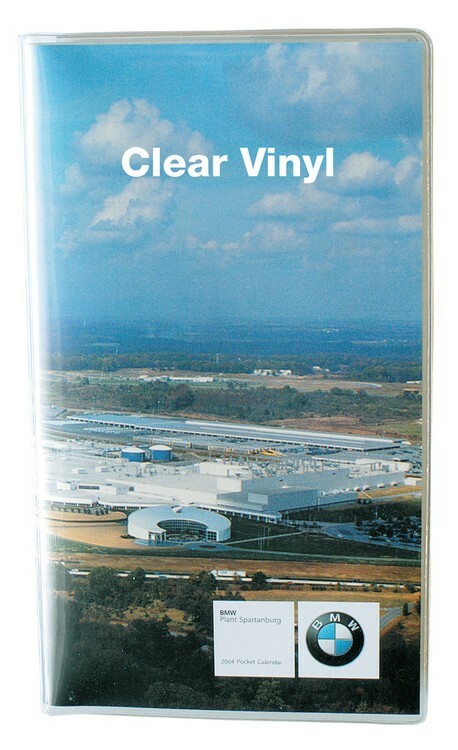 Pocket Planner has clear vinyl cover. Full color insert is placed between calendar and cover. Week-at-a-glance calendar on 2 page spread. Can customize calendar pad. Includes 16 Page Color Map. Brass Corners are Available. This is a great way incorporate the entire front and back cover with full color. Much larger imprint area than with a hot stamp.